If you are a high school teacher with mid-range experience, this Resume Template would be “the one” for you. Interestingly, the template here ditches the usual route of lines of plain text and inserts a tabular or box format in the middle for a different look. It starts with a brief profile followed by tables on your technical skills, experience and expertise. And, then, it goes down to your education and contact details. 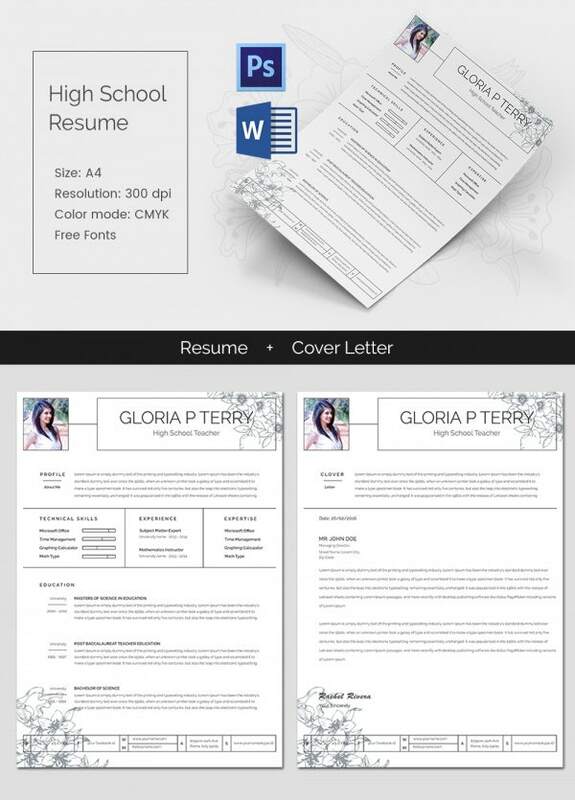 You will be able to include your photograph at the top of the resume. 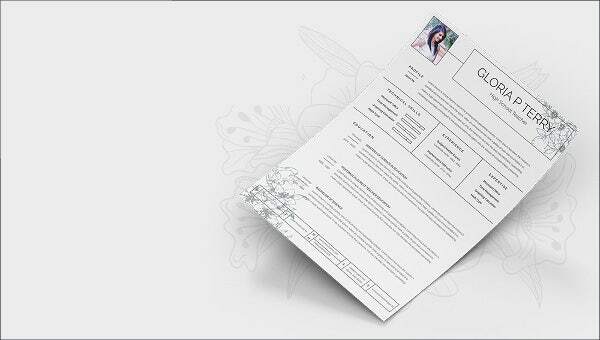 Along with the resume, you are getting a cover letter as well- where you can further add pictures and contact details.